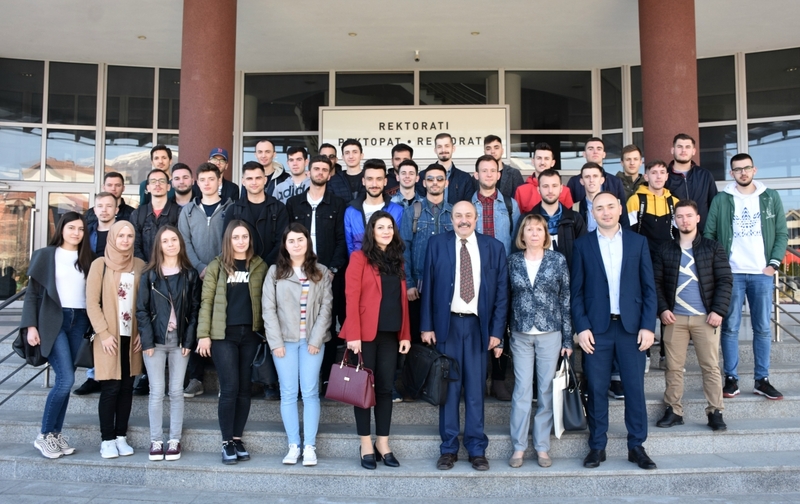 Within the project “Computer Software Simulations” funded by the European Commission, today at the University of Tetova was held a professional lecture by two professors of Pecs University of Hungary, Prof.Dr. Gyorgy Maroti and Prof.Dr. Ildiko Perjesine. In front of students and professors of Informatics of the University of Tetova they lectured about the upgrading of the computer algebra, within which the online test of mathematics courses was presented. This project includes a total of 20 European universities, including the Faculty of Natural Sciences and Mathematics of the University of Tetova and includes activities such as doctoral symposiums, conferences, roundtables, networking between universities, exchange of students and the academic staff. Coordinator of this project from the University of Tetova is Doc. Dr. Festim Halili, who, together with some professors and 4 students will participate in the academic week that will be held in Szeged University of Hungary in April.